K9 Sniffies will be joining up with Double Winter, Blurb (Chicago), Best Exes and Haunted on Thursday, July 2 at the New Hybrid Moments. However, lost track of how many members have been in the band over the years a long time ago. 2010 in Ann Arbor, started as a solo project for me, Joe, in which I recorded the first tape in my room. Began playing shows shortly after as an excuse to play parties. Our good pal Amanda was talking about the drug sniffing dogs who would annually come to our high school and called them ”THOSE K-9 SNIFFIES”. A basement in Kerrytown, Ann Arbor. It was a party that was Mario Kart themed. First lineup was me, Ryan, and Josh Klimazewski I believe. We played a Ramones cover and a Brainbombs cover. Bad tunes for bad people. Loud and repetitive usually, beautiful and strange. For the music fan with impeccable taste, verging on cockrock. The Fall, Country Teasers, Brainbombs, Stooges . I wanted the band to sound like Liimanarina initially, but it didn’t work that way. 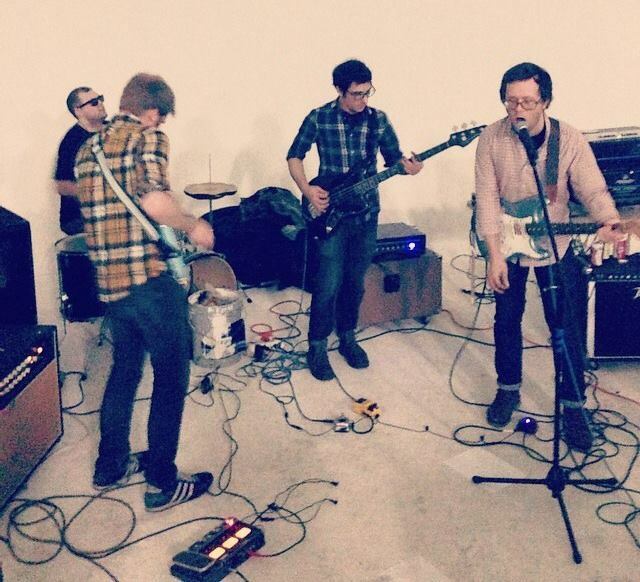 We warm up by playing an Everclear cover at practice sometimes. I use a Peavy that Ryan put together for me. He built his own bass cab that is ridiculously loud, Brian plays through a Line 6. Drums are frankenstiened together. I just got a Squire 51 that’s neat. Brian has an SG and Ryan has a fake Jaguar. Protomartyr, Tyvek. Been liking Thanks USA a lot lately too. Too much to list, everyone is great here. We are very nice people. Very excited for this gig. Good times are guaranteed, thanks for having us!